Come and see the view from the top! London’s 205 buses were transformed for the 2012 Olympic and Paralympic Games with vibrant artworks depicting life on High Street 2012 (the route from the City to the Olympic Stadium). 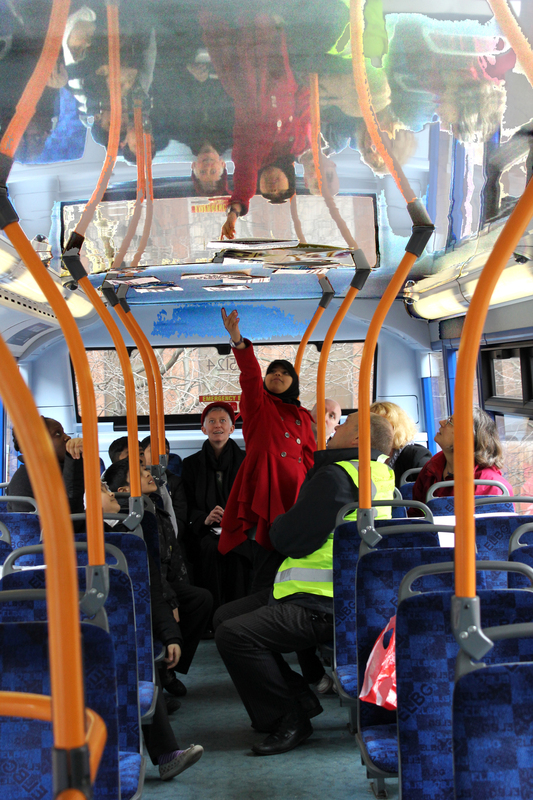 100 children from 3 primary schools and local older people worked with printmaker, Janet Brooke, and poet Surya Turner to make a 10 metre artwork to decorate the upper ceiling of the double decker buses. Surya worked with sound artist Dan Scott to create a soundscape of poetry, stories and street sound that tells some of the tales behind the images. You can download the podcast, or stream it on your computer here. East London will be full of visitors this year and we want to welcome them and show them the richness of our local area- its people, architecture, and day to day life. From weathervanes, to The Bell Foundry, international firms to market stalls. The East End has everything. The project was featured on The Community Channel as part of an Olympic Special during Summer 2012. 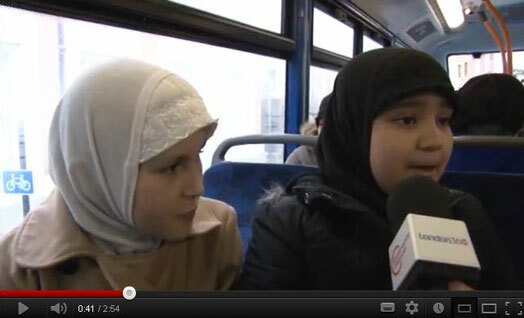 Click on the link above to meet the participants and see the artwork on the buses. Pupils and older people from: Canon Barnett School and Toynbee Hall; Osmani School and Stepney Jewish Care; St Agnes RC School and St Catherine’s Church. View from the Top was funded by the Allen & Overy Foundation and High Street 2012. The project was also awarded a Transformers grant, funded by The National Lottery, through the Olympic Lottery Distributor, and managed by the East London Business Alliance.